HDFC Life’s Click2Protect Plus is an Online Term Insurance Product. The main feature of this plan is to provide financial protection for you and your family. It has unique features which are not available in most of the online term insurance plans. Let us understand its features and benefits. Premium payment options – Regular pay (monthly, quarterly, half-yearly and yearly), Limited pay (Premium payment Term = Policy Term – 5 years) and Single pay. In the unfortunate event of death of the life assured during the policy term, the nominee will receive the death benefit as below. (Death benefit is called as ‘Life Option’ under this plan). For Single Premium pay policy : Death benefit is higher of 125% of Single premium (OR) Sum Assured. Let us now understand the very unique features of Click2Protect Plus plan. If the policyholder chooses this option then the Death Benefit as specified above shall be payable in the form of a lump sum and an additional benefit equal to the Sum Assured shall be payable in case of accidental death. In addition, a monthly income equal to 0.5% of the Sum Assured shall be payable for a period of 10 years.The monthly income can be level or increasing at 10% p.a. as chosen by the policyholder. Let us understand these options with examples. Case 1 – Mr Rahul (30 years of age) buys this plan with a Sum Assured of Rs 1 crore. He has opted for Life option only. Unfortunately he dies in an accident. What is the death benefit ? In this case, his nominee will get Rs 1 crore as the death benefit. Case 2 – Mr Rahul (30 years of age) buys this plan with a Sum Assured of Rs 1 crore. He has opted for Life option and Extra Life Option. Unfortunately he dies in an accident. What is the death benefit ? In this case, his nominee will get death benefit of Rs 2 crore. If death happens due to any other reason then his nominee would get Rs 1 crore only. Case 3 – Mr Raj (28 years of age) buys this plan with a Sum Assured of Rs 1 crore. He has opted for Income option of the plan. Unfortunately he dies due to heart attack . What is the death benefit in this case? In this case, his nominee will immediately get Rs 10 Lakh as lump sum payment. And the remaining Rs 90 Lakh is paid as monthly income for the next 15 years. The equal monthly payment is Rs 50,000. Case 4 – Mr Raj (28 years of age) buys this plan with a Sum Assured of Rs 1 crore. He has opted for Income Plus option of the plan. He has also opted for ‘equal monthly income’ option under Income Plus. Unfortunately he dies due to heart attack . What is the death benefit in this case? In this case, his nominee will immediately get Rs 1 crore lump sum payment. In addition to this, the equal monthly payment of Rs 50,000 pm is also paid for next 10 years. Case 5 – Mr Ram (28 years of age) buys this plan with a Sum Assured of Rs 1 crore. He has opted for Income Plus option of the plan. He has also opted for ‘increasing monthly income’ option under Income Plus. Unfortunately he dies due to illness . What is the death benefit in this case? In this case, his nominee will immediately get Rs 1 crore as lump sum. Also, the monthly payment of Rs 50,000 pm is paid in the first year. The monthly income increases at the rate of 10% pa for the next 10 years. This plan has another unique feature. The proposer can choose the Life stage Protection option under Life option upon payment of an additional premium. The sum assured amount will be increased on the occurrence of key events in your life. The premiums will be recalculated based on your increased sum assured and outstanding policy term.No additional Medical tests are required. This feature will be available only for a six month period from the date of the event and provided the insured person is less than 45 years of age at the time of opting for this feature.This feature is available only for regular premium paying policies and not for limited premium paying or single premium policies. There is also an option to ‘Reduce the Additional Sum Assured” which the policyholder had opted under life stage protection. With age as your income is on a rise and as your children become independent, you may realize that you don’t need additional Insurance cover anymore. This plans offers the flexibility to reduce the additional insurance cover after attaining the age of 45 years. Your Sum Assured will be reset to the original Sum Assured at inception. Your premium will be recalculated based on revised sum assured for the remainder of the premium paying term. Mr Praful (26 years old) buys HDFC Life Click 2 Protect Plus with Sum Assured of Rs.1 Cr. The policy term is 35 years.He gets married in his 28th year. He opts for the Life Stage Protection Option. He becomes a father after 2 years of marriage and opts to increase his cover. In his 55th year, he decides to reduce the additional sum assured. The applicable premiums under Life Option are very competitively priced. Even though the premium amounts under Income Option are low, the company keeps 90% of the death benefit with itself. It does not pay any interest on this amount. Only equated monthly income is paid every month. It is more advantageous if this 90% amount is invested in a Bank Deposit than to keep it with the company. Assuming interest rate @ 9% and 7% as the average inflation rate. But, Nominee should be competent enough to manage the funds. As with the case of many online term insurance plans, in this plan also Critical Illness (or) Total Permanent Disability riders are not available. Only Accident Death benefit rider is available. If someone is looking for a comprehensive Term insurance with all these riders then it is better to buy offline products. SBI Life’s – Smart shield is one the best plans. “Income Option plus” is surely worth considering. Especially the increasing monthly income option. Life Stage Protection feature is available under Life Option only. Life option with this feature is a good combination. But only thing is that the premium amount will not remain constant. Overall HDFC Life’s Click2Protect Plus is a good product. You may consider buying the plan with Life option (or) Income plus options. You can now customize Click2Protect Plus plan by opting additional rider ‘HDFC Life Income Benefit on Accidental Disability Rider‘ that offers monthly Income of 1% of rider Sum Assured in the event of Total Permanent Disability due to accident for a fixed period of 10 years. You can also add Critical Illness rider by opting for ‘HDFC Life Critical Illness Plus Rider‘ that provides Rider Sum Assured in case diagnosed with any of the 19 Critical Illnesses. ICICI Prudential’s new online Term Insurance Plan – iProtect Smart Plan : Features, Benefits & Review. If life is unpredictable, insurance can’t be optional! I am an NRI planning to take a term insurance.After my study I found that service charges are exempted for NRIs with HDFC life.How would you compare click 2 protect plus(Basic option without rider) and 3D Life .I can see that the premium for 3D life is less and an additional premium waiver facility for critical illness is also there.What do you suggest? Personally, I believe that basic cover can be taken and stand alone policies for Personal Accident cover & Critical illness cover (if required) can be taken. The question is on premium paid methods, HDFC Life offers three options, as you stated. I found single pay premium worth considering. This is because, i seriously doubt about paying premium rest of my life with unseen events. I want to go for Life Option for 1 crore for 26 years with Single premium, the online calculator gave, Rs 1,81,500 to be paid for single premium. Also, you noted that SBI Life’s – Smart shield gives all riders (that is offline), does it gives single premium option there. Is single premium worth considering. Premium mode is mostly a personal choice. Kindly note that if you opt for single premium, you can claim tax deduction u/s 80c, up to Rs 1.5 Lakh only in the FY in which you buy the insurance policy. In regular pay mode, you may discontinue the premium payment anytime (if need be). Best Personal Accident insurance plan. Hello Sreekanth, I’m planning to buy HDFC click 2 protect, I’m looking for a policy in which accident death and natural death / illness death are covered. My wife is home maker. Could you please suggest me in this. Shall I go for click2 protect or SBI term insurance. If this plan meets your requirements, you may go ahead. Importance of Personal accident insurance plan. ICICI Iprotect smart – review. Aegon Term plan – review. I believe that it is tax-free income. The monthly or annual income received from the insurance company will be tax-free. In this plan there are 3 more new option which you have not included in your this page may be because of they are recently added by hdfc . • disability due to accident if you add annual Rs.2,000 ,get 60,000 per month. •	cancer cover. Cover 10 lakh if additional annual Rs 900.
and i am going to buy Health insurance and personal accident policy too .but i am confuse which one should buy above riders or separate policy ? Stand-alone policies make sense to me, especially Personal Accident plan. In case if your family has any history of critical illnesses then you may consider separate CI plan. A basic life cover from any of the above two companies and a stand-alone Personal Accident insurance plan can be considered. I am planning to take pure online term insurance from HDFC LIFE CLICK 2 Protect plus (Life Option) .I am 34 yrs old Non-smoker NRI .I would be getting the Quote between 2 to 2.5 Crore for 24 yrs duration from HDFC Representative office in Dubai who is assisting me to get the insurance done and my medical test would happen in India (I will be traveling in Nov 16 to India ). 1 ) Could you please suggest which all points should I clearly ask them or get clarity from them so that I don’t fall in trap of any hidden conditions for this particular pure term insurance ? 2) After medical test in India is done would they hike the premium and would they maintain the same if medical report is more or less normal. From your side, do disclose all the required information in the Proposal form honestly and accurately. As you are going to opt for Life option which is a simple life cover plan, I don’t think there are any hidden factors. But do check with them if there are any specific terms & conditions for NRIs as such to cover unfortunate event. When I met the Sales person in HDFC Life Representative office in Dubai,he told me below things. A ) Concerned Sales person would upload the term insurance documents online from his HDFC LIFE Representative Dubai office on behalf of me after taking all the documents from me.and he told me rates would be same like online done by me …My Question :- 1 )If the sales person does all the online, will this Policy of mine would be consider as online as per HDFC policy ? 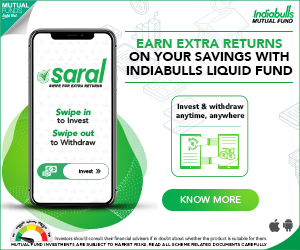 B) As per the sales person since I am processing the claim from here and I a NRI, Taxes will not be applicable for the policy which would be considerable saving. Note :- For medical I will be going to India. Make sure all the details provided in online application form (proposal form) are accurate and complete. ok Sreekanth 🙂 But what about waiving off of taxes applicable on yearly premium for NRI. Dear swapnil ..Taxes? I could not get this point? Are you referring to tax benefits on the premium paid? If you are filing income tax return in India, you can claim the premiums as tax deduction u/s 80c. I am an NRI and have been out of India from the last 5 years. I would like to buy HDFC CLICK2PROTECT PLUS Term Plan, but i could not find any information related to it applicability if (God forbid) something happens to the policy holder while residing out of India. Will the dependent of the policy holder get any claim or the policy is VOID outside India. Kindly help me out and also let me know any Indian term plans which covers the policy holder outside India as well. I believe the said policy (most of the term plans) covers the mentioned risk. Suggest you to kindly check with HDFC customer care directly. In case of term plan, say HDFC click 2 invest. 1 In case of death due to natural disasters like earthquake, flood. 2 in case of riots. HDFC Click 2 Invest is not a term plan.It is an ULIP (unit linked insurance plan). I mean to say any term plan. 1 & 2 – Most of the companies do not cover risk arising out of earthquakes or terrorist attacks. You may have to check with the concerned life insurance company directly before buying a term plan. 3 – Depends on the outcome of the investigation report. Thanks for your valuable guidance .Please I have a doubt in mode of payment : Single one time premium or yearly premium for up to 35 yrs. Which mode is best ?? (ii) I’m 26 yrs. old (NRI working in Nigeria) , Before I used to smoke often (like weekly 3 or 4 cigarettes ,but now I quit smoking completely . What should I mention in the Insurance form – Smoker /Non smoker. (iii) In term insurance, suppose I have applied for 1 cr policy ,whether the death is considered as natural(like :heart attack) /accident any thing happened ,the claim will be valid. 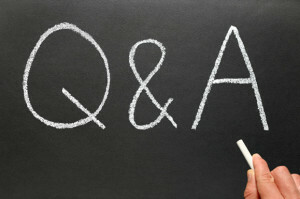 1 – Answered your query in another post. 2 – Yes but claim will be honored after thorough investigation. I am planning to purchase hdfc basic term insurance plan for me. but I have one concerned in death benefit which they offering on this three point. on the condition death benefit on regular premium. 2.105% of all the premium paid on as on date of death. It is a standard guideline to comply with IRDA rules. Are you looking for risk cover or wealth accumulation or both? If you have dependents and/or have financial liabilities/obligations, consider buying a term plan. For your long-term goal like ‘retirement planning’, wealth accumulation matters. Suggest you to buy a Term insurance plan which is independent of your employment status. Ok. Kindly go through the link provided in my previous comment (it is about the top online term plans). Hi,I am 43 yrs having Diabetics. I am planing for HDFC Click 2 protect plus,I want to know about under what circumstance the claim is rejected.I have mentioned all my details regarding diabetic in the proposal form. Dear Anand..Are you planning to apply or the proposal has already been rejected? I have already applied for it.Some one told me that they are not making payment for cancer claim.So I want to known that if they issue policy then under what circumstance they reject claim. In majority of the cases the main reason for claim rejection is, if someone provides wrong & inaccurate information. Hi Sreekanth Reddy Garu, I am 33 Years old and my spouse is 32 years old, I am a smoker. I want to take e-term policy with coverage of 1 crore with accident benifit rider. 1.Suggest me is it better to take 1 crore policy from one company or can i split like 50 lacks from two companies? Taking multiple policies from different companies may not be really beneficial. But taking multiple policies with a different time-frame (tenure) may be from the same company can be beneficial. Kindly disclose all the required information int he proposal form honestly. Thank you for all your efforts in guiding the people. I too need your suggestion in taking the term plan insurance. I am botany scientist in profession, I have a cool salary but not the hifi. I am planning to take the HDFC click to protect -Income plus plan. As we are seeing the cheating or fraud companies day by day, I am little bit worry about to take the plan, as they may cheat at the time claiming. is it true or its a rumor. Clarify me in this regard and suggest me for the plan. As long as one discloses the required & right information in the proposal form accurately and honestly and if an insurance company issues a policy then there is nothing to worry about the claim settlement. Kindly go ahead and buy a Term plan. First, Kudos to your work. These pages are greatly useful for anyone who wants to maintain a financially sound life or wanting to put their financial life back in track. Thanks much! I have chosen to take out HDFC Click2Protect Plus term insurance for myself. My primary question is related to the payment frequency. I am leaning towards single payment plan which I can afford now though it would cost me close to INR 3,75,000. Choosing annual payment instead would cost me INR 20,000 per year. With a 40 years term policy, INR 20,000 for 40 years turns out huge (of course, if I survive through). Single premium calculates to less than half of the total annual payments. I am fine with letting the yearly tax savings go, that I will gain going with yearly payments. Before I take a dip, would like to have some expert advice. What would you suggest me? Is Single premium a good option? I took a 25 year LIC single premium term insurance policy 9 years back, and I very much love the luxury of not having to worry about making the payments every year. Appreciate your response. Thank you in advance! Kindly go through this relevant and useful article..click here..
By the by, thank you for the appreciation and your kind words! Need your reviews on TATA AIA -iRAKSHA TROP. They are offering insurance + maturity benefit. Is it good to go with LIC e Term (25 Lakh) + TATA AIA (25 Lakh) insurance cover or need to go with single insurance provider. TATA iraksha is also a Term plan but with ‘return of premium’ benefit on maturity. My personal take is to buy a basic risk cover plan. Read: Best online term insurance plans. Thanks for the great article and sharing the right products to all of us. My age is 40 and I am currently having Aviva Term Assurance with a cover of 50 lacs & Birla term insurance of 24 lcas (both purchased around 5 years ago through the agent not online). I am still looking out for a 1 Crore term plan and thinking to go for the HDFC. I want to have my total cover increased to 2 cr.Should I opt for term insurance from HDFC or is it better to go for a same company. Please advice. Appreciate if you could provide some tips..
You can surely consider HDFC click 2 protect plus or ICICI’s new plan iProtect smart plan, these are available at very competitive rates. Hello sir…why r u promoting this product. I m experiencing worst service by hdfc life. I have purchased online e term on 12 dec 2015 and till date i didnt got any document. I have gone through many medical test. I have sent many questionarre and uploaded my all personal medical reports but till date i did not got my policy documents. I took follow up many times but its of no use. I gets anser as..u will get ur policy issued within 2 or 3 days….but still i mtryibg for same. The worst service i m facing in my life…..i m worried that what will happen when time come for claim settlement…i m not sure that my nominee will get sum assured or not. Kindly note that I am not promoting this product. This is a review. If you are not happy with their service, drop the proposal and buy a term plan from some other company. Also, suggest you to escalate the issue with higher ups of HDFC Life. I am definitely promoting TERM PLANs as such and not any specific product. You have really been instrumental in sharing your expertise and knowledge which guides number of people to take the best financial decision. I’m 35 years(Male) and I have decided to go for Life Option with Extra Life for 1 Crore and I believe as per your input in case of accidental death my nominee will get 2 Crore. Is it true ? Also, kindly suggest if I go for 1 Crore sum assured category then what should be tenure that I case choose as per my age. Further, now I’m also looking to go for stand alone accidental policy in case in an accident if I survive but being the sole earning person of my family I would have no earnings during my hospitalization under permanent/temporary disability. Additionally, just to seek your kind guidance, I’m with 100% physically handicapped(Polio Affected After Birth) person but fully self dependent and working in an MNC. Please suggest if my case creates some issues in between. Many thanks for looking into my case and eagerly waiting for your guidance. 1 – Yes, Rs 2cr would be the claim amount if death happens due to accident. 2 – Tenure should be chosen based on your expected retirement age, financial obligations and liabilities. 3 – Kindly read : Best Personal Accident insurance policies in India. Kindly disclose about your physical disability in the insurance proposal forms. I believe that it should not create any issue. GR8 work. Such a comprehensive Knowledge Portal type website. Splendid Mr Reddy, absolutely brilliant piece of Work. May GOD Bless you. Thanks for nice article. And, after reading your article, I am planning to take HDFC Life’s Click2Protect Plus term policy. But, I came to know that I can take either online or through HDFC Bank person/channel which will cost around 500-600 INR more premium than the premium through online. If there are no major differences, then I will take this policy through online. I am moving to US on H1B visa for few years, does a term policy will be valid even when i am in overseas? I am planning to take HDFC Click2Protect. Dear Praveen..Yes it is valid. Suggest you take it before you go abroad. I am 27 years old, Male, Non smoker. I was planning for an Income Plus option – increasing Income with sum assured of 1Cr. I was confused between HDFC, MaxLife. My only concern is that my nominee should not feel any difficulty for the claim settlement. Kindly read my article : Best Term insurance plans. You may buy a term plan from a company that you are comfortable with. Do disclose all the required info in the proposal form. Depending on the proposer’s age / medical history / occupation etc if life insurance company thins that there is high risk in providing life cover with standard premiums then they can issue policy by charging higher premium (they will inform about this to the proposer before issuing the policy bond/certificate). First of all, thanks for a very quick reply. My father has a diabetes since last 5 years. Will this situation call for a higher premium? Dear Vishal..It may not affect your proposal..but do mention about this under relevant section of proposal form (family health or medical history details section). If you are planning to buy a stand-alone personal accident policy with Disability benefit, suggest you go through my article – ‘Best Presonal Accident Plans : Benefits & Review’. A very good afternoon to you and all our blog readers! 3) Super top up mediclaim policy for 10 lacs with 1 lac deductible from “Apollo Munich” beside my company’s group medicliam policy for 2 lacs. I would like to share my experience with the Companies while purchasing the policies, so that it will be useful for other readers. 2) HDFC Life Insurance company, for my term life insurance, they have taken 45 days to issue a policy though it was purchased “ONLINE”. For each and every email communication, they took 3-5 working days to respond, acknowledge or confirmation whatever the communication is. As I am 41 years old, as I mentioned “Hypothyroid and heavy snoring” in my proposal form, they have advised me to under go medical check up at their prescribed diagnostic centre, I have under gone. Further, they have loaded me with 90% extra premium. even they have reduced my sum assured amount from 75 lacs to 55 lacs. My over all experience with HDFC is “Very good” though it is delayed and loaded with extra premium, but they have taken all required steps, so that, I believe, when ever claim is required, my family members may not face any difficulty in claiming process. Dear Sreekanth, Thank you for your advises through your blog, which were helpful for so many lakhs of people like me while taking such big decisions. I would like to post the same info in your 2 – 3 relevant articles, which will be helpful for all other readers. It is good to see that you have relocated to Proddatur, so when I visit my native place Kadapa, with your prior confirmation I would like to see you. Thank you so much for sharing your real-life experiences with the financial service companies. 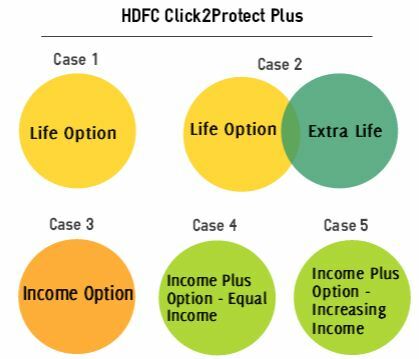 Which option under HDFC Click2protect plus did you take? I(me 30 ,my wife 25,my son 4 year) want to buy family floater plocity of 2 lakh coverplus with additional 10 lakh personal death cover..is this type of plan/policy available. You may buy a Family floater plan and a separate basic cover Term insurance plan to meet your requirements. Also consider buying a stand-alone Personal accident policy. nice to see your advice on insurance and investment. i am 46 yr old and my spouse is 47 yr old. Are you referring to Mortgage / Home loan insurance? I believe that both of you can consider buying Term plans instead of Mortgage Insurance. Kindly read my article : Best online term insurance plans. I am 30 non-smoker and looking out for a plan which pays me regular income on completion of maturity also stands as life insurance to benefit my family on my absence. Please suggest the best one with respect to claim ratio. My suggestion would be to buy a basic cover plus plus one stand-alone personal accident plan. Also, consider starting SIPs in equity mutual funds for long-term goals. What not covered in policies..? I meas what type of death not covered in hdfc click2protect plus. Is suicide cases comes under this..? If i purchase this policy in India and if any thing happens in other country…is this plans covers all those..? Can you please revert me. Generally ‘suicide clause’ is applicable for first 2 policy years in most of the plans. Risk coverage is available across the globe unless specifically mentioned in ‘policy wordings’. i am 32 non-smoker unlucky NRI which term policy would you suggest me. LIC doesn’t cover NRI,i have one useless medical policy given by employer. I am in process of buying HDFC CLick2 ProtectPlus On Line Term Insurance as per suggestions made by Mr. Sreekanth, I mean to say after all opinions and considerations. But I am not NRI. Still, I suggest you to please wait till I get Documents in hand, so that I will add any points or remarks which I experience / encounter / face while processing of the policy buying. I feel this will help our Blog readers in 1) the process 2) any further queries they may ask 3) details about medicals if any 4) any premium enhancement etc. I hope my communication is clear! HDFC CLick2 ProtectPlus you can consider it for NRI . I want to take a term plan for maximum possible years. I am 32 years old and want to go for 1 Cr. Kindly guide me as per your experience which company is better in all terms ? Kindly read my article on Best Term insurance plans . I wish to take Term Insurance. I have two options HDFC or LIC. Both are good dear Ramkumar ..You may pick any one. I am looking for your advice on buying a term insurance. I am 35 year old Male. non smoker ..non tobacco user…..want to go for 50L term insurance plan for 35 years…….i have shortlisted max india, aegon religare and hdfc………And mostly will be going for aegon religare as i have heard that aegons customer service is very good and hdfc s cust service is very bad….But the only concern which is bothering me is that aegon religare has low claim settlement ratio……so do respond me as to which term plan should i go for……..One thing i think is that if i give all the correct information to the policy taker ….the claim could not get rejected..
Plzzz reply to me as to which companys policy should i go for. If you are comfortable with Aegon (affordability + good customer service), kindly go ahead and buy a term plan from them. As opined by you, just disclose all the required information accurately and honestly. One policy is enough. Given a choice, I will buy my term plan from HDFC (if choice is Aegon/hdfc). Dear Jignesh..my requirements would be totally different to yours. I am 39 year old Male. Looking for good insurance policy for 1Cr with better benefits and better premium. Is there any policy which doesn’t required medical tests as well? It is always better to take a term plan which has medical tests requirements clause. Kindly go through my article : Best online term insurance plans. Suppose, If death is via any disease, will the nominee get the money. If via accident, will the nominee get the money. If death via natural calamities, like earthquake etc, will the nominee get the money. Please let me know, as I am looking to take final the plan. 1. Can I claim only if the death is by Accident. 2. Can I claim if death is by Illness or Sucide. You can not claim, you nominee can claim. 2 – Yes. But kindly go through the suicide clause. Thank you so much for such wonderful article. I decided to opt for Term plan against to traditional insurance plans after reading your various articles like” What not to invest” ” Financial planning” . Shall shortly send comments on my financial planning and how your articles changed my life. I have become a big fan of yours…Kindly continue writing such articles . Wow! I am very happy to read your comments dear Mahesh. Thank you for your kind words. I recently published an article on Personal Accident Plans, you may go through it. hi Sreekant, my daughter is 27, a lawyer, working in a prestigious law firm, interested in buying online term plan. Edelwiess Tokio offers her a term plan for 52 yrs term at Rs. 9225/- per annum. But i’m not sure of their service/claim settlement. what would you suggest? It’s relatively a new insurance company. But, that should be ok. Kindly disclose all the required information in the proposal form honestly and accurately. Also, policy tenure can be selected till the expected retirement age . I am 35 year old (married), I want to buy term plan of 50 Lakh for 30 years. I am bit confused between LIC and other private companies, the premium is even more less if I go for online plans. 1. Could you suggest me if I can go for LIC or any other private company as the premium of LIC is too high. 2. is there would be any difference if I will go for online plans? 1 – You may consider SBI Life’s e-Shield plan. 2 – Premium is cheaper. Kindly read my article – Top Online term insurance plans & FAQs. 1. Will there be any tax benefit in case of single premium option. If yes how will it be calculated. 2. Can I nominate different people for different benefits. E.g For income plus option nominate mom for lum sum and wife for Monthly Income. 2 – I am not very sure on this, kindly check with the company. Do update us if you learn about this. You can divide the percentage of share among the nominees. I am 34 married female. I am looking to take a HDFC life option term insurance for 50L for a period of 40yrs. Is it true that sum assured amount in case anything forbidden happens say 10 yrs later, will be paid only after I have finished paying the permium for 40 yrs. In which case, how much will be paid during the contingency? Are you an earning member of your family? If any unfortunate event happens after 10 years, your nominee would receive Rs 50L as the claim amount in the same year. If I compare HDFC term plan with Aegon Religare plan, I have more benefits with less premium. And Religare is also a know brand. Also their claim settlement ratio is increasing since they have launched the plan. What are your views on it? Which one should I prefer? HDFC or Aegon ? Aegon Religare plan is cheaper by 1800 and with critical illness riders. Thanks for your reply in advance ! Can you share your response w.r.t choice b/w religare and HDFC to me as well through email or through this post? Dear Praveen, both are good but my vote is for HDFC term plan. Read your couple of articles. Liked the way you explain. Let me know about your financial goal(s)..
Kindly read my articles : “How to create a solid investment plans?” & “Financial planning Pyramid“. Premium is lower than basic? or is it the other way? Suggest you buy a basic plan and also go for a stand-alone Personal Accident Plan. I am about to buy a Term policy from HDFC click2protect for myself, 32 yrs, non smoker, planning to buy 40 years term policy. But i also admired on the Kotak preferred e-term policy as they are waiving off the remaining premiuim and ready to pay by themself in case of any permanent dis abilities happened to the insurer. Both plans are good. Suggest you to take basic cover and go for stand-alone Personal Accident plan. Hdfc is from 2001…. but Kotak has shown their best records only from past 3 years. However still having more than 90% claim setttlement. I am gonna take it today only.. So waiting for your confirmation… which one shall i buy… please name it. I personally feel that both plans are good. If you are comfortable with HDFC Life, kindly go ahead with it. Disclose all the required information in proposal form accurately . Okay, If both are good then i would go for Kotak as i am getting the lesser premium compared to HDFC. And i do have 40 years coverage till my Age 72. and i will also get 100% covered in case of any suicide attempt after 1st year. As you said i will take separate accident stand alone policy somewhere in the near future. Also can you please suggest a personal accident policy for me. 9884033633 this is mynumber. What is the coverage amount that you are planning to go for? Generally policy tenure can be upto the age of retirement. So, re-think about the policy tenure. I want to know that which company is best for term insurance (RELIANCE, AEGON, AVIVA, HDFC, MAX) and which plan is best for me and I want to know about accidental option and what is rider. Suggest you to read my article – “Top 7 best online term insurance plans“. thanks for such valuable information regarding term insurance plans. i am 32 yr old married person and i want to know that there is any pension scheme in HDFC life’s click 2 protect plan in current scenario. plz tell me which plan will be best for me. Kindly read my article on “Retirement Planning in 3 simple steps“. Suggest you to first calculate the required retirement corpus and then identify the right financial products. I am planning to buy HDFC Life click to protect plus term plan with below sum assured. Currently my age is 26 and planning to take cover till 60 years where premium has to be paid till 55 years of age. Please suggest me if it is suitable for my age group and also is it better to have monthly deduction of premium which is around 740 for me inclusive of taxes rather than quarterly/half yearly/yearly. Are you a married person? Do you have any family member who is financially dependent on you? As of now not married, will be in a year or two.But i have my parents as dependents. It is better to buy a simple and basic Term insurance plan. Go for high basic coverage and do not add other options. Regarding ‘premium payment mode’, it is completely dependent on your comfort level and affordability. If it is not constant then is there any information that how this is going to change in future. personally asking that I found this as a better that suits me , but with the premium not being constant how would this vary in future, if you can share this information it would be helpful to me . The premiums will be recalculated based on the increased sum assured and outstanding policy term. No medical tests are required at that time. So, the new premiums will be decided by the underwriters of the company as per the then prevailing mortality rates. Kindly allow me to ask one question. I have observed that you have been asking lot of interesting and valid questions on multiple posts (related to insurance). It is my pleasure to clear your doubts. But, why did you buy Rs 1 cr worth of Jeevan Anand? (you seem to be very knowledgeable ). Did you ask these many questions to your Insurance agent, when you took Jeevan Anand policy? Did you do this kind of research / home work that time? Will there be any difference in premium amount, if i buy hdfc click 2 protect plus (life option) insurance from online, instead of buying the same from agent ? According to you which one is better ? When you have the option and convenience to buy it online, just go ahead and buy it online. Complete the paperwork by yourself and mention all relevant facts in the proposal form. Do not hide or conceal any material facts. I bought HDFC Life’s ULIP plan & submitted all the required documents and paid the premium. After that, they shared me the policy document along with the receipts. Whenever I tried to access my policy, it showed ‘No records found’ and when I called the customer support to enquire about this, their one & only answer would be ‘Technical fault and we will never be able to assist you’. For about an week, this was a routine answer that I heard on daily basis. I don’t understand that, if they were unable to issue the policy without any glitches, how are they going to manage my investment and provide me hassle free returns once my investment is done? My kind suggestion for you guyz would be don’t ever think of investing with HDFC Life Insurance product. You said the policy document is issued and then again saying ‘they were unable to issue the policy without any glitches.” Do you mean to say that you were unable to access your policy details online? I believe this can be rectified. Contact HDFC customer support through email. Escalate the issue. All most all of these companies are of world class. I am sure their customer service is also of high standard. But, why did you select an ULIP Plan? Are you aware of all the features of the plan? I am currently having HDFC Term Assurance with a cover of 25 lacs. I want to have my total cover increased to 1 cr.Should I opt for term insurance from HDFC itself or is it better to go for a different company. HDFC Life’s Click2protect plus is a good online term insurance plan. You can go ahead with it. As long as you mention all the required details in your proposal form clearly (without hiding any facts about health,income etc), buying a Term plan from any Life insurance company is fine. Go ahead with HDFC if you are comfortable with it. Elze you can also look at LIC’s e-term plan, SBI’s Smart shield. Do visit my post on ‘comparison of online term insurance plans’ on my blog to get clarity on best Online Term insurance plans in India. Cheers! I liked the way you explained the plan options as different case examples. Thank you Gauri. Keep visiting the blog. Its a best plan and good thing is they have given u option chose the option according to u.
HDFC having 96.56% settlement ratio go for this and don’t alow any life insurance agent in our house. Ajay – Thank you for sharing your views. There are good as well as bad agents/advisors in the market. Yes, HDFC Click 2 Protect Plus is good term plan to choose. Although I believe its better to pay a little more premium and go with LIC e term plan, as LIC is treated like GOD in our country. Brand name and its product, both are important for me. And I believe every investor should consider not just the brand but also has to evaluate the product(s) offered by that brand. Accordingly, the investment decision needs to be taken.